“Not after the establishment, but speaking straight ahead.” This is how William Carlos Williams referred to his own forthrightness as well as his practice of using only American speech patterns in his poems. In Interviews with William Carlos Williams, Linda Wagner of the English Department, Michigan State University, has assembled Dr. Williams’s most important public statements. 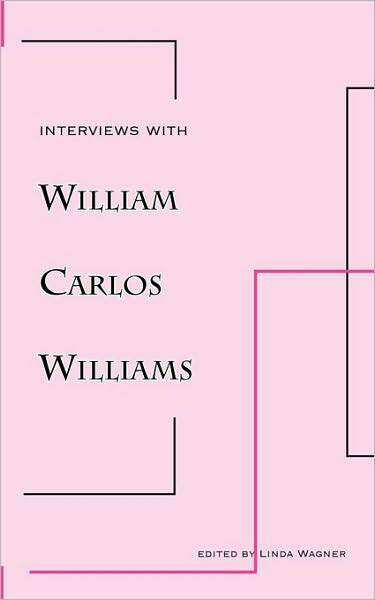 The first section, entitled simply “Interviews,” reproduces in toto three in-depth conversations, revealing Dr. Williams’s humor, vitality, and American-ness, as he discusses his theories of poetic meter and diction, his opinions of such contemporaries as Pound and Eliot, and his view of his own role in shaping the course of modern American poetry. The second section, “Dialogues,” is arranged alphabetically by subject heading. Here are recorded the poet’s thoughts on topics from “Art” to “Women.” The third and final part of Interviews with William Carlos Williams, “Memoirs and Miscellany,” includes the touching account of a visit to the Williamses by artist Gael Turnbull in 1958. Also reprinted are two of Dr. Williams’s best expositions of his own poetic techniques, “The American Idiot” and “How to Write”––essays which appeared in early New Directions anthologies but have been generally unavailable since. This valuable collection of comments “for the record” is annotated and includes an index.